Two British brothers who travelled to Syria apparently with the intention of attending a rebel training camp have been jailed, becoming the first to be sentenced for such offenses in the UK. Mohommod Nawaz, 30, was handed a four-and-a-half year prison term and his younger brother Hamza Nawaz, 23, was given three years at London’s central criminal court on Wednesday. The pair, both from east London, had pleaded guilty to conspiring to attend a place used for terrorist training – a charge that does not explicitly state whether they attended or not. Mohommod Nawaz, described in court as “the prime instigator”, was also convicted for possessing ammunition, including rounds for an AK-47 assault rifle. London’s Scotland Yard said they were the first British citizens to be sentenced for terror offences after returning from Syria. Judge Christopher Moss told them: “You were in training both of you while you were there to support the rebel fighting in Syria. Police did however, find evidence including images, video clips and text messages relating to the training camp. 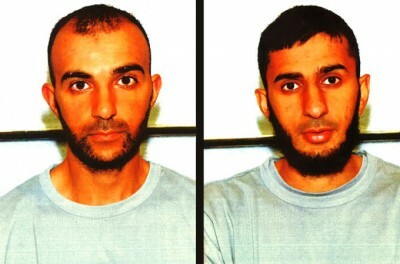 An investigation by British counter-terrorism police established that the brothers travelled to Syria between August 25 and September 16, 2013 to attend a camp in the Latakia province. The brothers are believed to have “cultivated an extremist mindset over a period of months prior to their travel”, a spokesman for the Metropolitan Police said. They were arrested in the British port of Dover after arriving by ferry from Calais in northern France. The sentences come as Britain unveiled draft counter-terrorism legislation on Wednesday, including powers to ban suspected jihadists, who go abroad to fight, from returning to Britain for up to two years unless they agree to be monitored by security services.